The American FFA Degree is considered the "gold standard" in the organization. Students who achieve this level of distinction have demonstrated leadership abilities, community service, and outstanding scholastic achievement through their supervised agricultural experience program (SAE). Through the SAE, students are able to consider various occupations by applying what they learn in the classroom to the workplace or a simulated work environment. 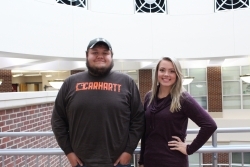 Cooper and Marcum started their SAEs in high school, under the supervision of their agriculture instructors, continuing throughout their time at EKU with the assistance of faculty advisors Dr. Mike McDermott and Dr. Andrea Sexten. Keeley (Foley) Cooper's SAE, "Diversified Livestock Production" (cattle, horses, and chickens) started at Madison Central High School in Madison County. Cooper is the first MCHS graduate to receive the American FFA Degree since the 90's. Keaton Marcum, a graduate of Owsley County High School, completed his SAE in Wildlife Management and is also one of a small number of students to achieve the prestigious American FFA Degree. 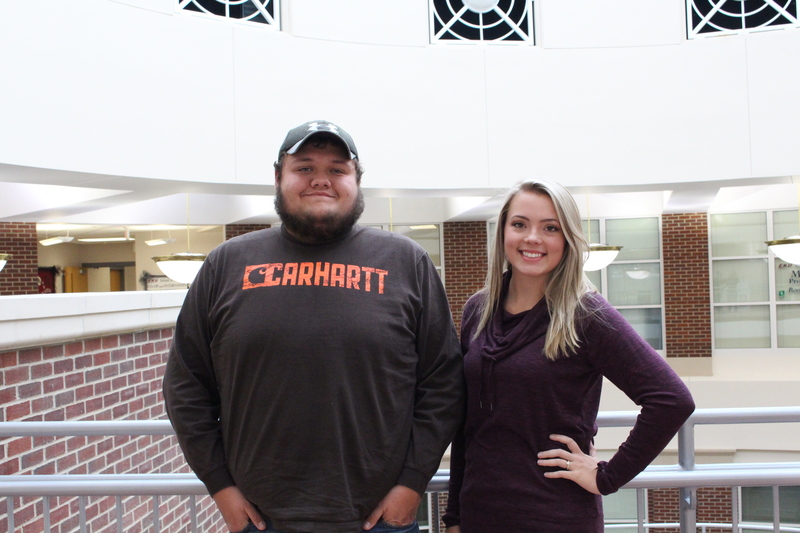 For both Cooper and Marcum, FFA is not just an extracurricular activity, it is part of their lifestyle and a large contributing factor in the decisions they have each made about their futures. "It is much more of an intracurricular activity than an extracurricular activity. It is just something you do," commented Cooper, who grew up on farm and now owns her own land and herd with her husband. An agriculture education major, Cooper's goal is to work as a high school agriculture teacher after she graduates in May 2019. Marcum, a pre-vet major, plans to attend veterinary school at Lincoln Memorial upon completing his degree at EKU. He credits FFA and the Agriculture program with helping him make the decision to pursue veterinary school. To learn more about FFA, vist www.ffa.org.